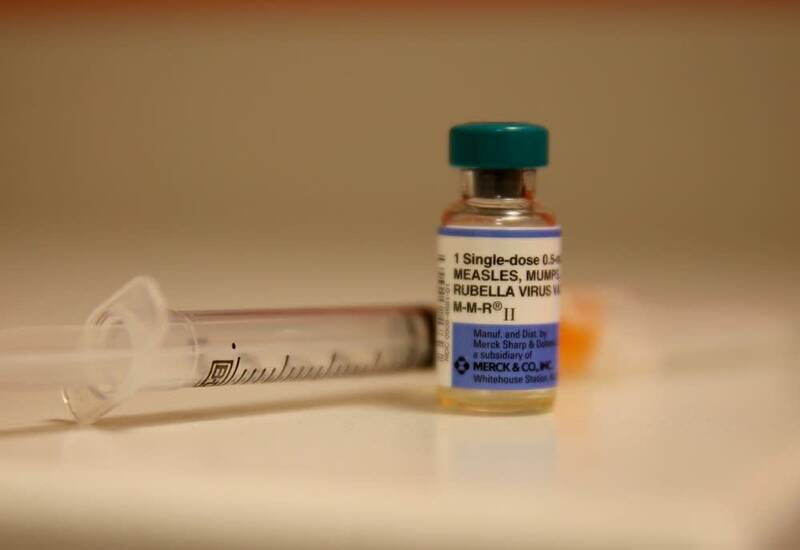 Vaccine fears driving measles outbreak among Somalis in Hennepin Co. Updated: 4:45 p.m. | Posted: 3:20 p.m. The Hennepin County measles outbreak is now up to 12 cases as of Thursday afternoon — all of them in unvaccinated kids 5 years old or younger. The confirmed cases have been in the Somali community, but Kris Ehresmann, the Minnesota Department of Health infectious disease director, wants to make one point absolutely clear: "This outbreak has nothing to do with being Somali." It has to do with vaccinations. Only about 42 percent of Somali 2-year-olds in Minnesota are vaccinated compared to a rate of nearly 90 percent among other Minnesota kids. "It is absolutely an outbreak that is driven by unvaccinated children," Ehresmann said. "And that's really what the source is." There hasn't always been such a wide discrepancy. Until 2006, the vaccination rate among Somali children was actually higher. But about a decade ago some reports suggested a higher rate of autism among Somali students in Minneapolis. "So that message really got out there, and so the community is trying to understand, and is very fearful about autism," said Anab Gulaid, a Somali public health adviser to the Minnesota Department of Health. At about the same time that autism fears were spreading, Gulaid said anti-vaccine advocates told members of the Somali community that vaccines were linked to autism. No scientific studies have proven that connection. Nonetheless, Gulaid said the fear spread like wildfire. Ever since, she and others have worked to educate parents about the importance of vaccinations. Fatuma Irsha, another volunteer Somali public health adviser, said some parents she talks to are scared of measles and keeping their kids home during the current outbreak. But they're more scared of the vaccine, she said. "So you see parents who are keeping their children at home but not willing to take them to the clinic and vaccinate them," Irsha said. It's really easy to catch measles. If someone with measles is in a doctor's exam room, anyone in that room even 45 minutes later could be exposed, said Ehresmann. "We certainly don't want to cause alarm, but we want people to be realistic, in that we certainly do expect that we'll see some additional cases as time goes on," she said. Identifying a case of measles is often difficult, though. It can take up to three weeks for symptoms — including the telltale rash — to show, said Patsy Stinchfield, who directs infection control at Children's Hospital Minnesota. "This is the hard part about measles — you're infectious four days before your rash starts, but those symptoms look like the common cold," she said. "So you've got runny nose, a little bit of cough, and maybe some red eyes." Officials are asking about 240 people who have been exposed to measles to exclude themselves from places where the disease could easily spread like child care and health care facilities and schools. "You have to take extra measures to not have people congregate as much as possible, with measles primarily because it is the most infectious, most easily transmittable virus that is around," Stinchfield said. Children's Hospital is also having people wear masks when they enter the emergency room until they can be triaged. The hospital has also prepared special "negative air flow" rooms that limit the airborne transmission of measles within the hospital. Officials are still trying to track down the original source of the measles outbreak. Ehresmann said she expects more cases to continue to be identified, likely into May.